​Symptomatic of the frantic festive schedule, Tottenham will not have time to lick their wounds from last weekend's crushing derby defeat as they welcome manager-less Southampton to Wembley Stadium on Wednesday night. Despite the recent sacking of manager Mark Hughes, Southampton will be buoyed by their 2-2 draw against Manchester United last time out and should go into this game full of confidence. First-team assistant coach Kelvin Davis' will take the reins for Southampton's trip to Spurs as the club seek to find Hughes' replacement. Both teams will be desperate to earn all three points, and it's likely to be an exciting encounter at the home of football. Check out 90min's preview for Wednesday's game below. ​Tottenham will most significantly be without defender Jan Vertonghen after the Belgian picked up a red card against Arsenal last Sunday. Full-back Ryan Bertrand is set to return to the matchday squad on Wednesday after he missed Southampton's draw against United with a back problem. However, Kelvin Davis will be without key midfielder Mario Lemina who, after picking up his fifth booking of the season last time out, will be suspended for this game. Tottenham have the superior head to head record between these sides, boasting 80 wins to the Saints' 62. In the two meetings between them last season, Tottenham won 5-2 on Boxing Day whilst drawing the reverse fixture at St. Mary's a month later. ​Southampton have only beaten Tottenham twice since 2005, and have won just once in their last 12 meetings with the north London giants. Interestingly, the Saints were the last ever away side to win at White Hart Lane, doing so in May 2016. Tottenham were flying in November, winning all five of their fixtures last month. 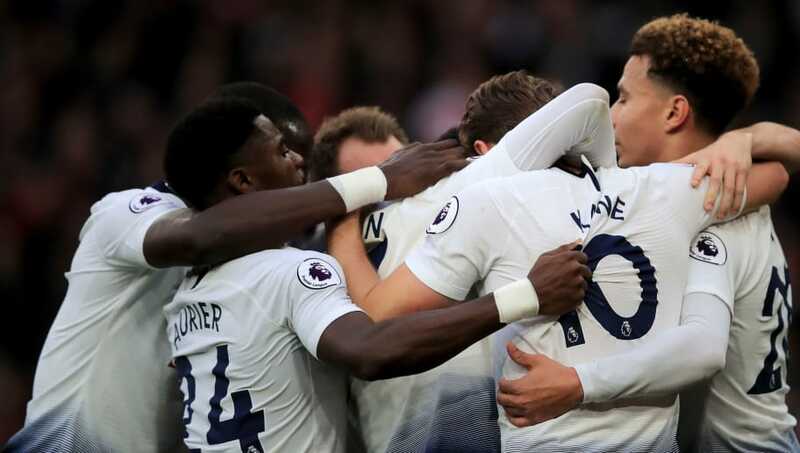 However, their December has been somewhat less merry thus far, after they fell to their first defeat in six games at the hands of north London rivals Arsenal. They will be desperate to return to winning ways against a side who haven't won in the league since September 1, as they look to get their Christmas campaign straight back on track. Having picked up just nine points all season, Southampton are in the middle of an undesirable relegation scrap. They are currently 18th in the Premier League, which is unsurprising as the Saints are the only Premier League side yet to win at least two games this season. Furthermore, true to form, no side in the English top flight have picked up more draws than Southampton this term (6), after they drew 39% of their league games last year. Tottenham fans will certainly favour themselves on Wednesday and will expect to return to winning ways. Southampton have been outscored on the road this term by 16 goals to six and that ratio is likely to worsen when they travel to the national stadium this week. With star midfielder Mario Lemina missing, Southampton will struggle against Spurs' movement on and off the ball and are likely to suffer their eighth defeat of the year. It really could be a stroll in the park for Spurs.